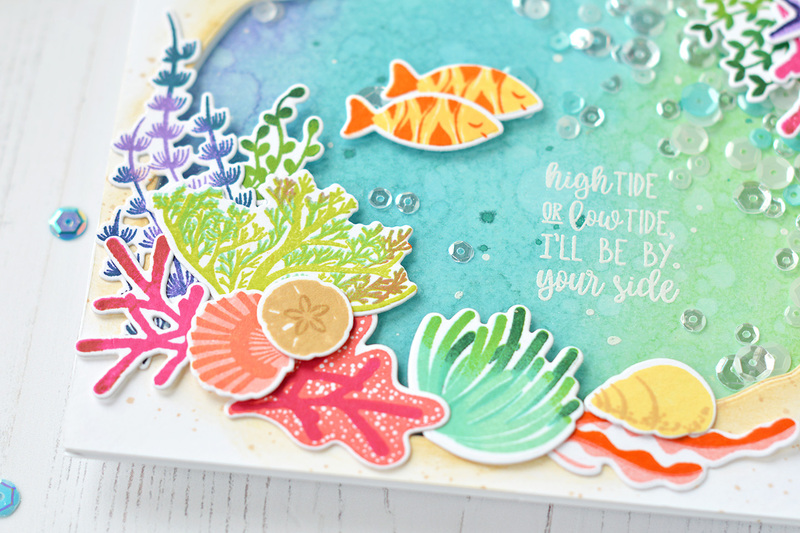 Welcome to Day Four of Papertrey Ink's June Release countdown. Today's featured products are Kimberly Crawford's WITH ALL MY HEART stamp set and companion LOVE die; and Jennifer Campbell's BOTANICAL BOUNTY II stamps and dies. These new products will be available at 10 pm June 15 in the Papertrey Ink store. 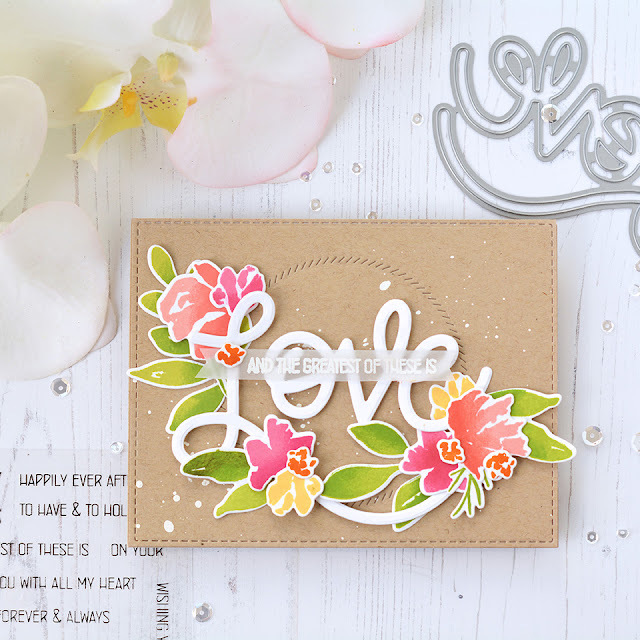 Giant word die-cut + stamped and die-cut flowers -- you could toss these elements up in the air and they'd land into something beautiful! 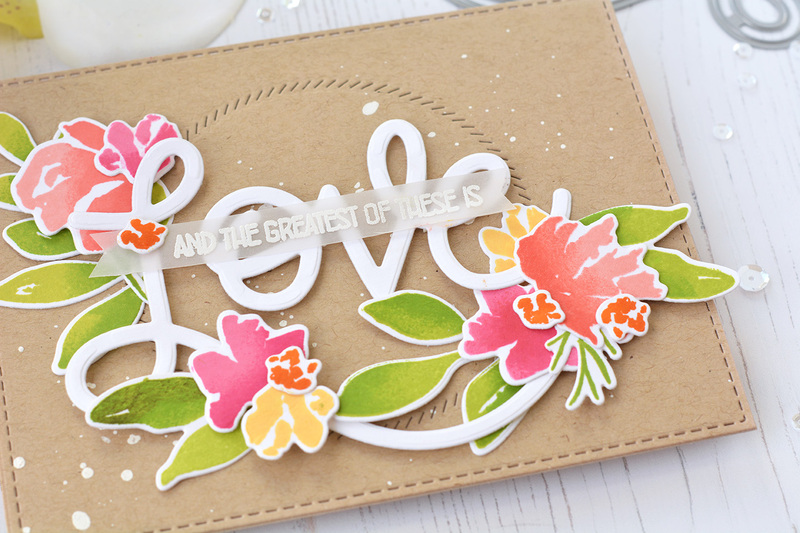 The LOVE die is beautifully lettered and generously sized for maximum impact. 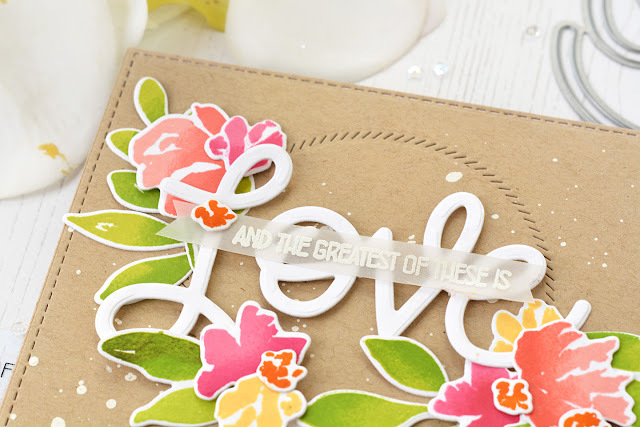 And I love the font of the WITH ALL MY HEART sentiments -- perfect for stamping onto a narrow banner or for tucking above or below the die-cut. 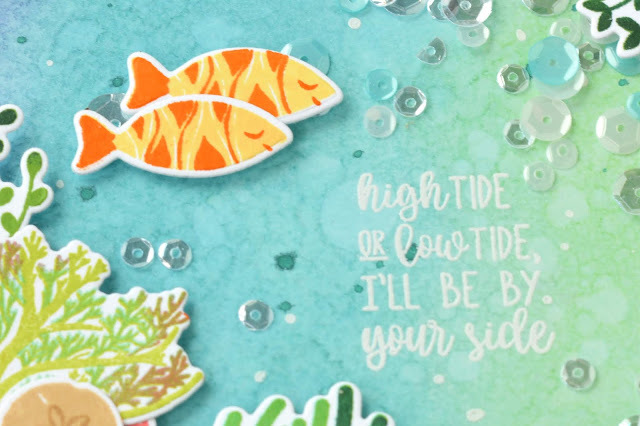 I picked out one of the sentiments from WITH ALL MY HEART and heat embossed onto vellum so that I could place it right over the die-cut and still have everything visible. 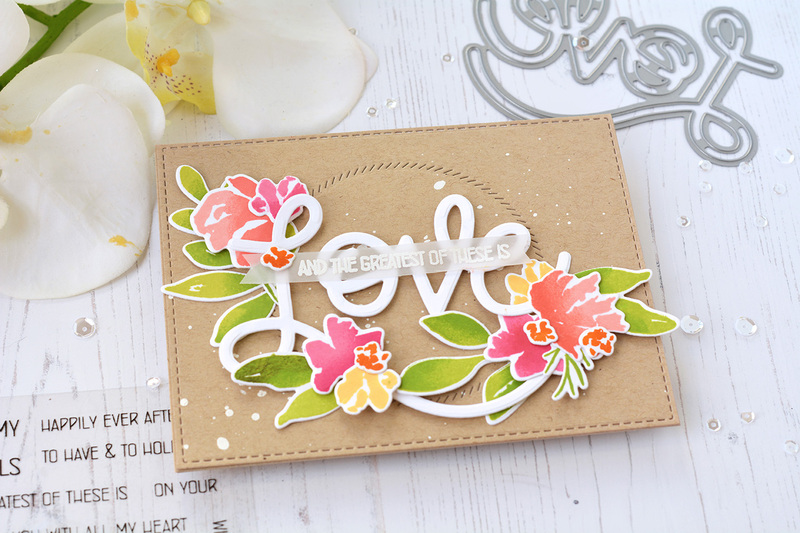 The wide variety of blooms and leaves in BOTANICAL BOUNTY II are also perfect for embellishing this beautiful die-cut. I stamped and arranged three clusters, placing some of the elements behind the die-cut and some in front for a mingled effect. 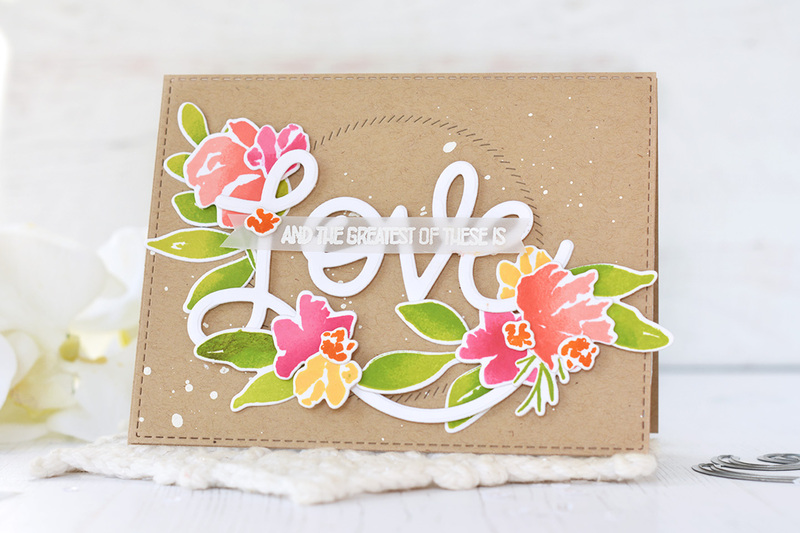 My final touches were to add some texture to the Classic Kraft card base, both with a stitched perimeter (done with the NOTED: SIMPLY STITCHED A2 VERTICAL die set) and a textured circle detail (done with one of the SHAPE SHIFTERS: CIRCLE 2 dies). I also added some white splatter to help bring out the brightness of the word die-cut. Welcome to Papertrey Ink's June Release countdown! 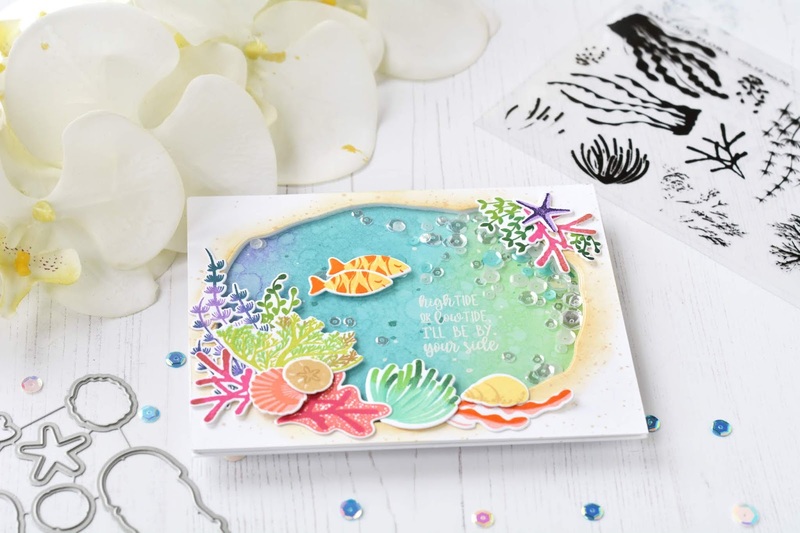 Today, I'm excited to help introduce Betsy Veldman's Salt Air product collection: Salt Air: Flora; Salt Air: Fauna, and Salt Air: Sentiments. My mind has been spinning with all sorts of fun ways to use these sets! For today, I couldn't resist creating a little tide pool to go with the sentiment "High tide or low tide, I'll be by your side." 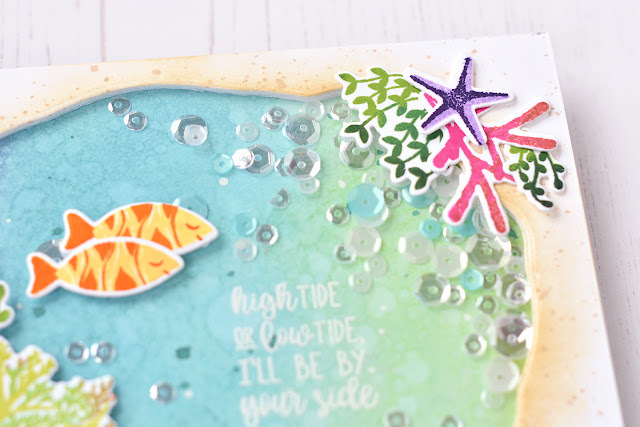 I started by ink blending a background using Distress Inks and heat embossing the sentiment in white, then I built my shaker window using the Geode Layers die set. 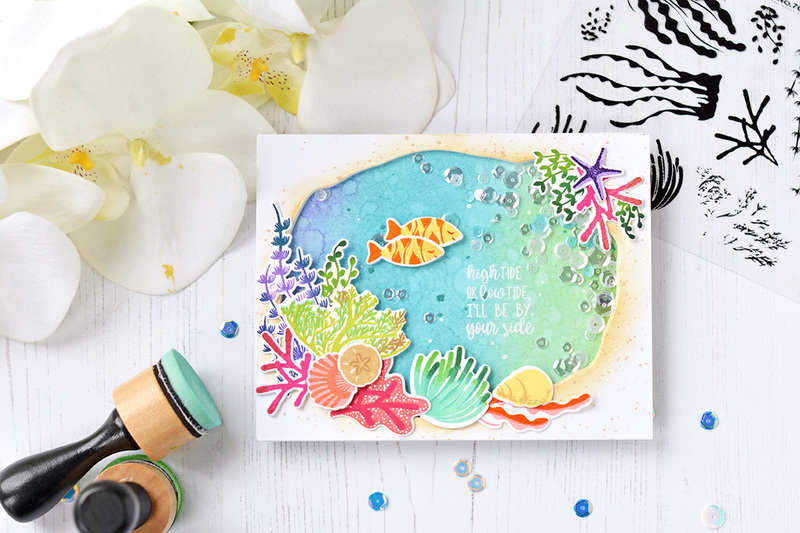 Then came the real fun -- stamping all the colorful Salt Air: Flora and Salt Air: Fauna images. I think I used half of Papertrey's ink colors on just this one card! More of those colorful die-cuts. 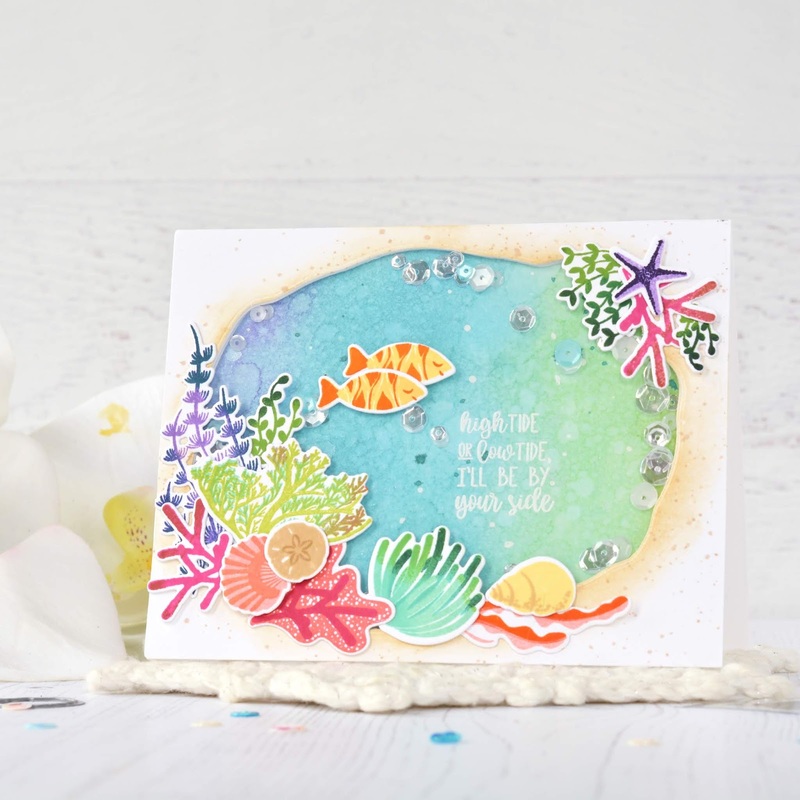 Here's a closer look at the sentiment from Salt Air: Sentiments. To go with it, I added a pair of fish swimming side by side. Before I closed up the shaker I, added some Fine Linen ink blending to the outer perimeter of the shaker window and also tossed in a bunch of white, clear and aqua sequins. I can't wait to play around more with this collection. Both Salt Air: Flora and Salt Air: Fauna are huge sets, too -- lots and lots of variety in for creating just that perfect underwater scene. 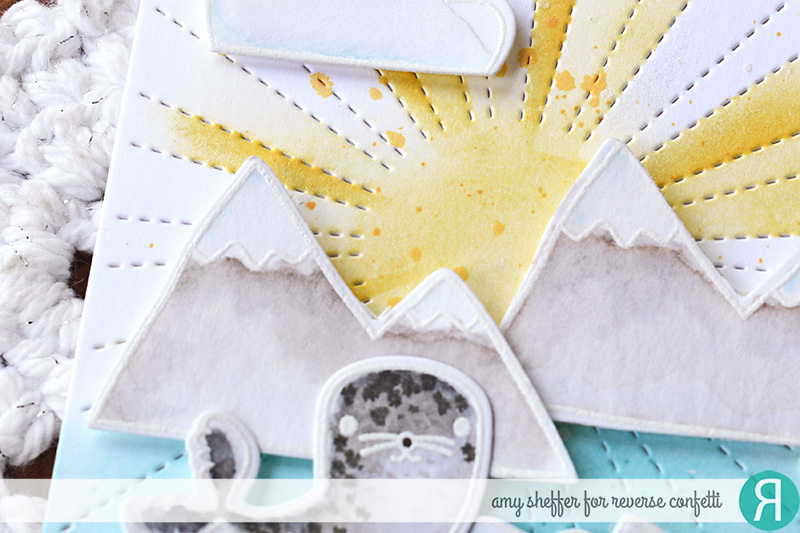 Check out the Papertrey Ink blog for more details and more project samples. The projects are amazing! 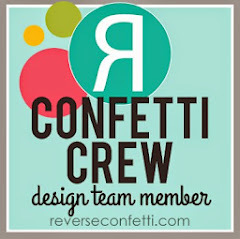 It's blog hop day at Reverse Confetti (always on the 8th). This month, our theme is SUMMER FUN. 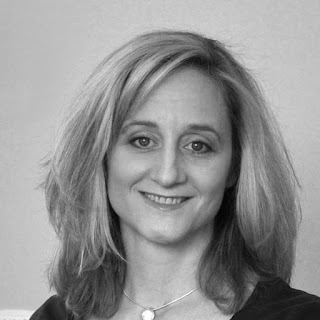 I am guest posting on the Reverse Confetti blog for this hop, so please join me over there! SaveSave Thanks for stopping by!